Odyssey FZVCM VMS4 / VCM600 Case DJParts - All Variety of Parts that DJ Needs. 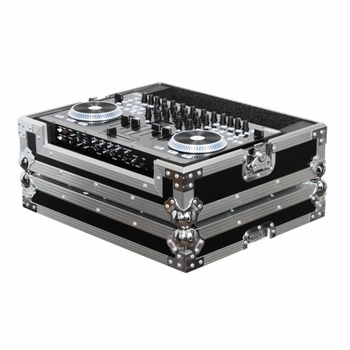 The FZVCM is specifically designed to hold the American Audio VMS4 DJ controller and can also fit the Vestax VCM-600 DJ controller. It features a front removable panel for easy access to the front input jacks and includes rubber feat, ball corners, and heavy-duty recessed handle and latches. Just another quality Flight Zone® case by Odyssey. Controller Compartment is: 19.125"x 12.625"